The 31st Inauguration Ceremony was successfully held on 25st March, 2015, at Rayson Huang Theatre, The University of Hong Kong. The commencement of the 31st Executive Committee of Hong Kong Federation of Business Students (HKFBS) was announced at the Ceremony. 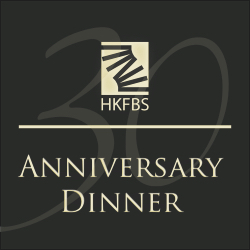 Hong Kong Outstanding Business Students Award 2015 Hong Kong Outstanding Business Students Award 2015 (HKOBSA 2015) is the first formal recognition of eminent business undergraduates from the 9 local universities held by HKFBS. HKOBSA 2015 marks a new epoch in academia, for it provides a brand new platform for business undergraduates to recognise their abilities and to foster the exchange of business ideas among the participants. We can''t wait to show you the brilliant business ideas by our Finalists. Come and witness the next generation of business creativity. Workshops equip students with essential skills and knowledge for their personal developments. A diverse range of workshops will be organized, such as grooming workshops, CV writing and job interview workshops, and lifestyle appreciation workshops. Students can acquire specific skills to better prepare for their future career developments.